It can be daunting - setting out your wares in front of the whole world. That's why it's so important to get it right first time, and at Kyteonline, we understand that better than most. Put your trust in us, and we promise to deliver a carefully thought-out, well designed website to create just the right impression and capture just the right audience. Call us today for more information on 01827 830274 or email us. South Lytchett Manor Caravan and Camping Park, Dorset. 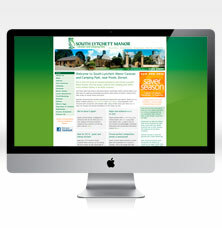 This top quality website is at the very heart of South Lytchett Manor's marketing operation, providing everything from detailed pitch information to the adventures of the site's very own 'Ollie' and extensive details of local attractions and sightseeing. Designed with a family audience very much in mind, the website reflects every step taken by the owners to improve and extend their facilities - measures which have earned them a host of awards including Practical Caravan's Regional Winner for Dorset for the second year running. Oakfield Veterinary Group utilises a range of marketing measures to keep in touch with clients as part of its pledge to provide up to date information about pet care and support services. The website is a central part of this caring and highly professional operation and includes information on pet care education and welfare, as well as essential details on services, staff and special offers. 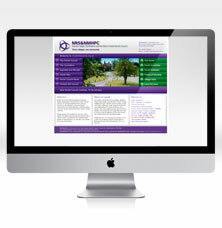 All elements of the site were designed and built by Kyteonline, utilising a fresh treatment of the oak tree logo in photographic form. This is a practical and easy-to-navigate site designed and built by Kyteonline to ensure that parish residents have access to important local information. The site is already extensive and there are plans to develop it further over time. Currently it includes everything from an archive of Parish Council minutes to details on places of worship and bus timetables, and uses a simple yet effective menu to facilitate quick movement around the site.